Gov. Bruce Rauner makes remarks at GOP rally at the Illinois State Fair. In an effort to deliver a message of unity in the Republican party, both statewide and nationally, Gov. 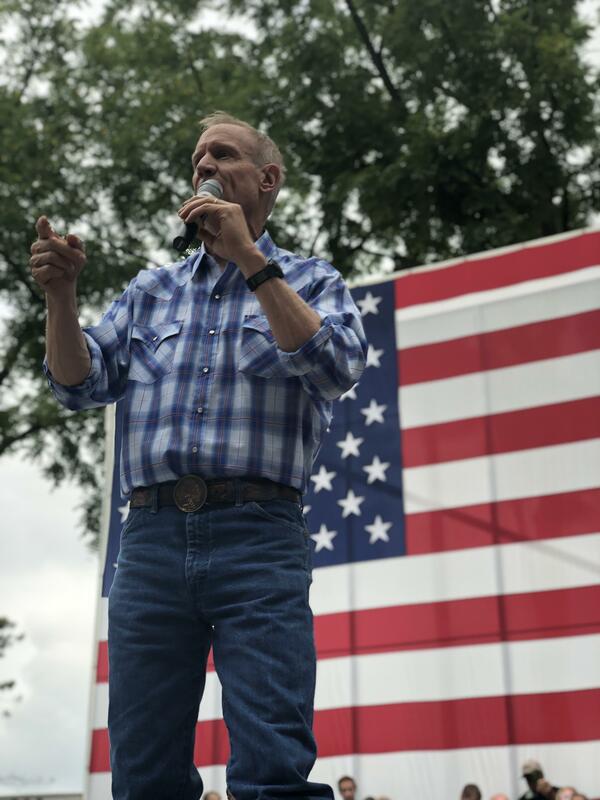 Bruce Rauner offered a rare show of support for the Commander in Chief at Wednesday's GOP rally in Springfield. The Republican governor regularly distances himself from President Donald Trump, sometimes refusing to even say his name. Now, following a divisive primary and facing a third party conservative challenger, Rauner may be looking to earn back support from the far-right by praising Trump.